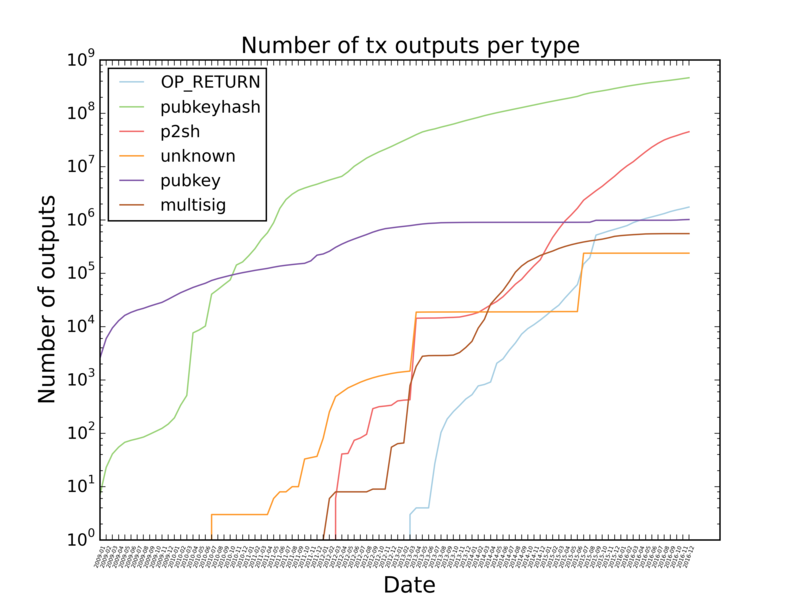 What types of transactions do we see in blocks today and how much of the blockspace do they occupy? I.e. does someone have data how much of the blocks are Pay to PubKey Hash, Pay to PubKey, Pay to Script Hash,…? I've found A survey of Bitcoin Transaction Types, but it's from April 2014 and outdated. Not the answer you're looking for? Browse other questions tagged transactions blockchain p2sh p2pkh or ask your own question. What new transactions are possible with 15 operations? What is the most expensive part of mining?